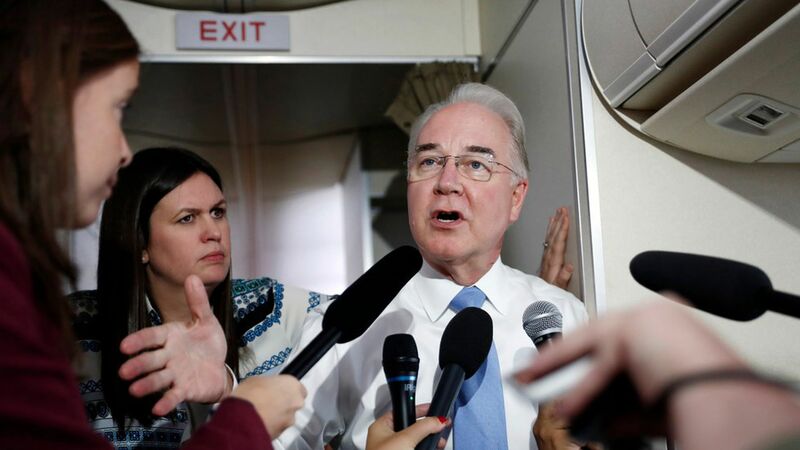 Health and Human Services Secretary Tom Price used a taxpayer-funded private jet, to get to St. Simon's Island, where he and his wife own land, a day and a half before he addressed local doctors at a medical conference, Politico reports. Price also took a trip on a private jet funded by taxpayers to Nashville, Tennessee, where he had lunch with his son before touring a dispensary and speaking to a health summit organized by friends. Why it matters: Price's use of private jets is being investigated by the inspector general's office, and Politico is dropping new details almost every day that seem to make matters worse.